Southeast Wisconsin Watershed Trust (“Sweet Water”) ($112,00)Sweet Water will use this $112,000 award to address two significant barriers to dealing with water quality challenges in the region: the lack of detailed sub-watershed plans in the Milwaukee River watershed, and the lack of a project evaluation and reporting mechanism for projects. 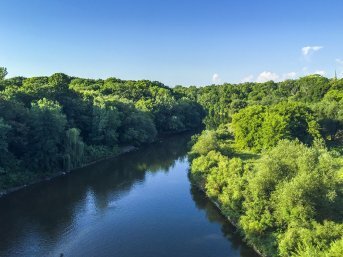 Sweet Water will therefore catalog and set priorities for watershed restoration and pollution reduction in the Milwaukee River Watershed based on water quality data, stakeholder input, feasibility, and project readiness. The essential aim of this project is to coordinate restoration efforts and arrive at a mechanism that assesses the effectiveness of project implementation efforts over time.